At every Apple press event, there are countless features that do not make the grand stage show. There are just too many things to talk about and so little time to cover it all. 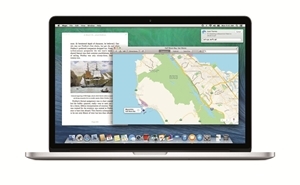 Mac OS X Mavericks, the latest version of the desktop operating system, is no different. The platform has had two opportunities to be featured on the big stage: the annual Worldwide Developers Conference in June and last month's press event. Now that it is out of the hands of beta testers and into the hands of consumers, more of the benefits of the system are starting to be uncovered. A recent article from CITEworld examined several features that are created specifically for enterprise users. "Most of those features are consumer or end-user focused," the article reads. "Several, however, are important enterprise improvements that point to Apple's continued, if often unspoken, push to support business customers and their IT departments." It may seem surprising to know, but these features make it clear that Apple does have an eye on the enterprise with many of its products. With the help of an IT consulting firm that specializes in Mac integration, any organization can take steps to improve its operations with Apple products.